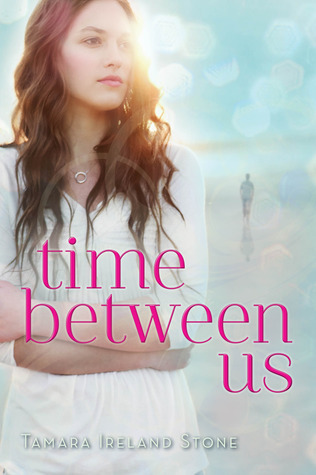 Today I'm featuring TIME BETWEEN US, a YA gem that has so many things I love in a novel: it's imaginative, heartfelt and mixes time travel, foreign countries and music! I was lucky enough to read TIME BETWEEN US earlier than most, and I've been excited for months for other readers to discover it - which they can finally do tomorrow! It was nearly a year ago now when I went to dinner with Tamara (and Veronica Rossi) and we all traded the first chapters of our manuscripts to read. I was so hooked by the end of chapter 1, I cajoled Tamara into letting me beta read. So what got me so hooked? First, the book opens with a scene in October 2011 of an older Anna handing a letter to a 16 year old Bennett who doesn't know her. She hopes the letter might be able to change things. Next, we get a scene in March 1995. Anna's running at a track and there's a boy watching her. But when she turns to look at him again, he's gone. And when she goes to investigate, there are no tracks leading to or from where he's sitting. How cool and mysterious is that opening? I quickly became invested in Anna's character. She has a world map and longs to stick it full of pins to show places she's been. When she meets Bennett, he makes her world larger - and not only because of his big time travel secret. Anna and Bennett are so sweet together - and the narrative is infused with such urgency because you want these two teens from different times to end up together. 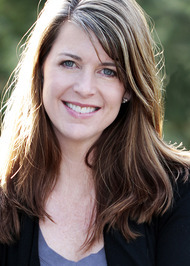 And now, let's chat with Tamara! I have always loved the rock-climbing scene. By the time I wrote it, I felt like I really knew both Anna and Bennett as individuals, and when I placed them in that setting together, they came to life for me even more. I really like the way the two of them interact with each other throughout the scene. And I love that Anna is completely out of her element. She’s not used to being vulnerable or having to rely on someone else, but when you’re climbing, your safety is literally in someone else’s hands. I liked putting her in danger and seeing how she’d react. But I love that scene most because it’s really all about the moment the two of them start to trust each other completely. Oh, I’d give so much away if I told you! Also, I’m going to cheat here, because my favorite line has to be coupled with another. My favorite lines are the two that occur at the end of Chapter 27. I love the build up to those lines—the discussion, the kiss, the fact that the two of them are so in the moment—and those two simple sentences felt like the perfect way to punctuate the emotion. Those sentences made me all tingly! What setting was most fun to write? The scenes in Vernazza, Italy were my favorites to write. Vernazza is Bennett’s favorite place and one of my favorite places too, so every time I worked on those scenes I got to picture myself back there, sipping coffee in the square, walking cobblestone streets, people watching. And those scenes were not only fun, they became hugely cathartic. In revisions, I had to dig deeper than I did at first, and I guess a big part of me was resistant because it took lots of rewriting before I let myself say what I was really trying to say. But now, I love those scenes even more because there's so much of my own experience in those pages. We moved around a lot when I was young. When my parents decided to move again, right before I started my senior year of high school, my best friend’s family offered to let me live with them so I didn’t have to graduate from a new school. In Vernazza, Bennett talks about finding a home with a family that isn’t his own. He finds comfort in the fact that he’s formed a connection not only with Anna, but also with the people in her world. Getting that down on paper was more emotional than I expected it to be and those scenes became incredibly personal. I realized I was talking about my own experience of feeling at home with a family that wasn’t mine. I’m always smiling as I write Emma, but I have to keep her in check—that girl can be a bit of a scene-stealer! I love the way she’s been described in some reviews: Funny and quirky. A bit of a smartass. Someone who says what she thinks. But mostly, people love her—and I love her—because she’s so committed to Anna. I think the two of them are a great example of a strong, healthy female friendship. Amen! What has been your favorite part of your publishing journey so far? Working with my agent and my editor. They have both been so supportive and brilliant with their advice. They completely get this story, these characters, and me. They were exactly what I’d hoped for: coaches who would help me make this a better book, and help make me a better writer along the way. TIME BETWEEN US comes out in hardcover tomorrow. Find out more about it at the author's website. Ooh, this book sounds great! I would have been hooked had I read that first chapter as well! I can't wait to see when I can get this one! This one definitely sounds like a winner...all the elements that I love are there! PS. And now I have to read it to see what those two lines are!! I think this book sounds amazing! I love time travel books and this one sounds so, so good!